The majority of gamblers that visit Las Vegas aren’t high rollers. 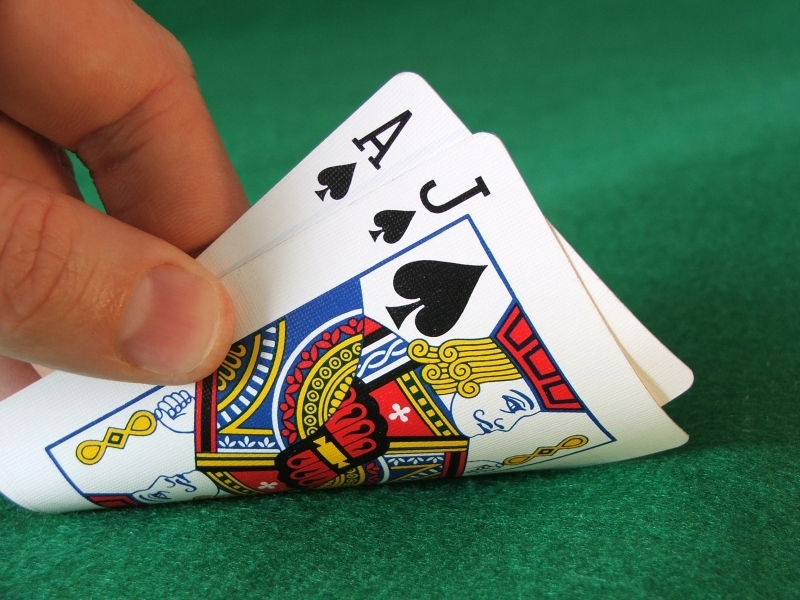 In fact, about 80% (arbitrary number in my head) are looking for cheap blackjack wherever they can find it. They’re also looking for good cheap blackjack games. You can find good cheap blackjack on the Vegas Strip but the options are decreasing every day. It’s time to head to Downtown Vegas where good cheap blackjack isn’t too difficult to find. 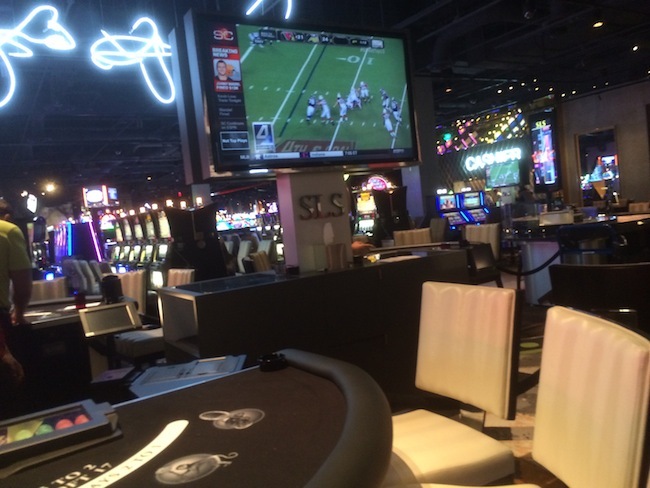 In recent years, we’ve seen gamblers migrating from the Vegas Strip to Downtown Vegas where the gamblin’s good (see the best craps odds in Downtown Vegas). For simplicity, I’m using $15 as the cut off for cheap blackjack once again. I’m listing the casinos alphabetically and not by the games with the best house edge. Visit the survey on Wizard of Vegas to see the complete details of the games listed below and higher denomination games. Note: Most casinos have multiple games with a worse house edge. Make sure you check the rules before you play. Ahhhh…Jonny Football. He loves Vegas and Vegas loves him. On previous visits to Vegas, Jonny Manziel has been spotted playing low limits blackjack and in a men’s room with a rolled up dollar bill at the Hard Rock. It seems as though Johnny Football has moved on from the Hard Rock. Last weekend Manziel was spotted at a new casino. 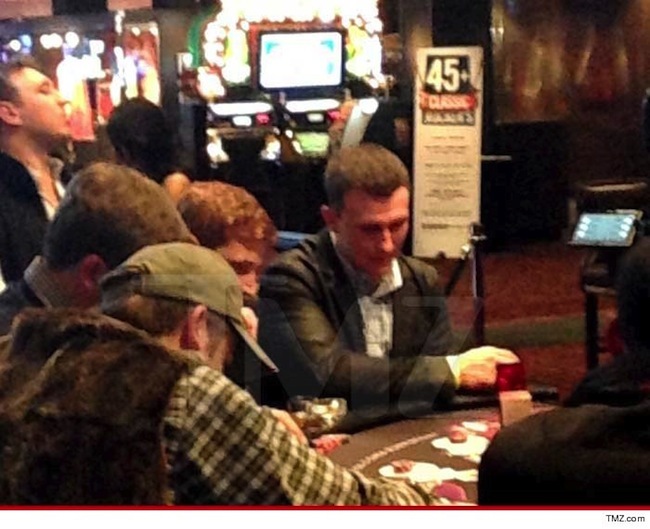 Multiple reports say that Johnny Football was drinking and playing blackjack at Planet Hollywood. There’s no photographic evidence showing that Manziel was at Planet Hollywood but a tweet says he was playing blackjack and using his Total Rewards players club card. It doesn’t seem as though most athletes need or use a players club card but Johnny Football isn’t most athletes. If he continued his low rolling ways than Johnny Manziel is probably a lower level Total Rewards member and has to pay resort fees on his comp’d room. 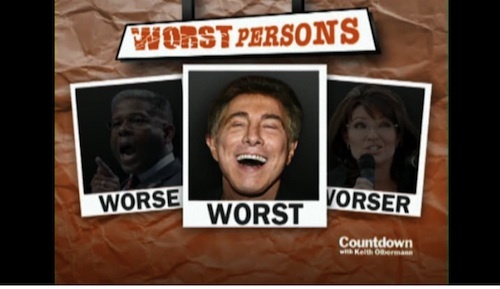 Furthermore, his $10-$15 hands of blackjack may not even be rated by Total Rewards. Blackjack players might be most interested to know that Johnny Football is most likely still playing 6:5 blackjack. Alas, there’s no photographic proof that Johnny Football was actually in Vegas this weekend. Did he attend Britney Spears‘ first show of the new year? I guess we’ll never really know if he was in Vegas flashing his Total Rewards Gold Card around. Please, Johnny Football, never change. Update: Check this out if you’re amused by the entire Johnny Football in Vegas story. Shuffle Master was rebranded as SHFL a couple of years ago but was purchased by Bally Technologies. Shortly after that acquisition Bally Technologies was purchased by Scientific Games. In the video below it seems as though Scientific Games has reverted to the old branding of Shuffle Master. Got it? Okay. 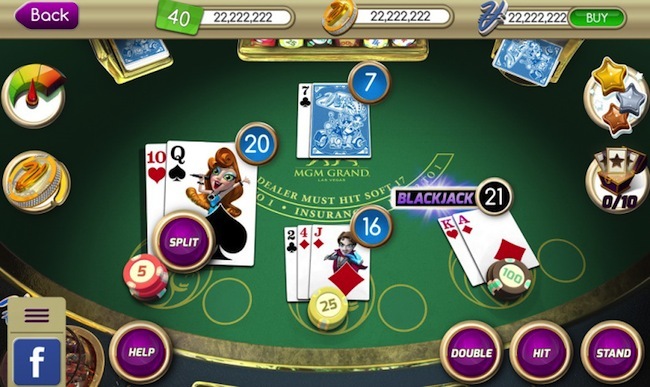 The video below shows a tease of new Shuffle Master table games that will debut at G2E. Shuffle Master controls most of the space on the casino floor that’s devoted to Carnival Games. They’re called Carnival Games mostly by traditionalists that grew up with blackjack, craps, roulette and slot machines occupying the casino floor. Carnival Games are the newer casino games like 3 Card Poker, Mississippi Stud Poker and so on. It’s easier for a company like Shuffle Master to test a new game in place of one of their 3 Card Poker games, for example, than it is for a new manufacturer looking for extra space on the casino floor. Do any of the titles in the preview below sound interesting? Leave a comment and I’ll try to get some information on that game. I’ll get more information on the branding as we get closer to G2E but that’s not important right now. A couple of weeks ago I played a little blackjack with Mark from the 360 Vegas podcast at The D in Downtown Vegas. We had a blast and I had my first winning blackjack session in far too long. My level of perfection with blackjack strategy is about 90%-95% accurate. It’s not perfect but good enough for me. Mark used a blackjack strategy card as a reference every time he wasn’t sure what the right play was. I haven’t seen someone use a blackjack strategy card in a casino in a while and that’s silly. 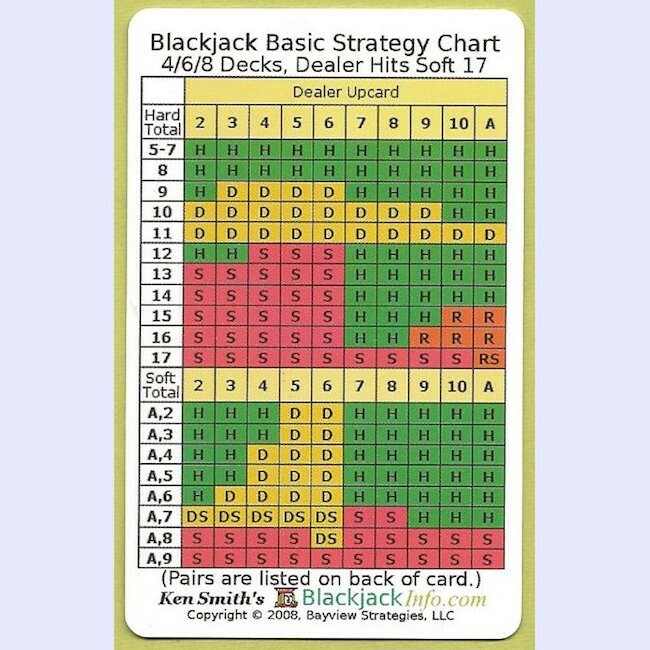 Blackjack strategy cards are legal to use at the table and cost less than $5 whether you buy in a casino or via amazon (links below). $5 for blackjack strategy card is a small investment that you should recoup in your first session or two of blackjack, even if you’re playing at a $5 table. Over time you should learn the correct plays without having to use the card. 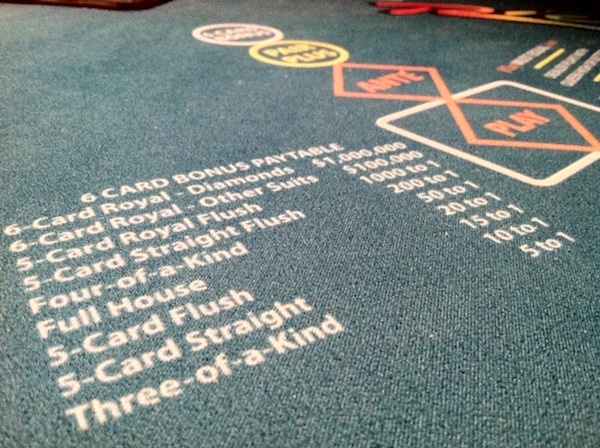 This is a great item to keep on hand in Vegas if you’re unsure how to play blackjack perfectly or you’re drinking a few too many to think straight this comes in handy. Over time it may not matter mathematically if you or others at the blackjack table play with perfect strategy but in the moment making the wrong play stinks when you lose. Making the wrong play also makes other players cranky. Gambling should be fun. Don’t make people cranky. 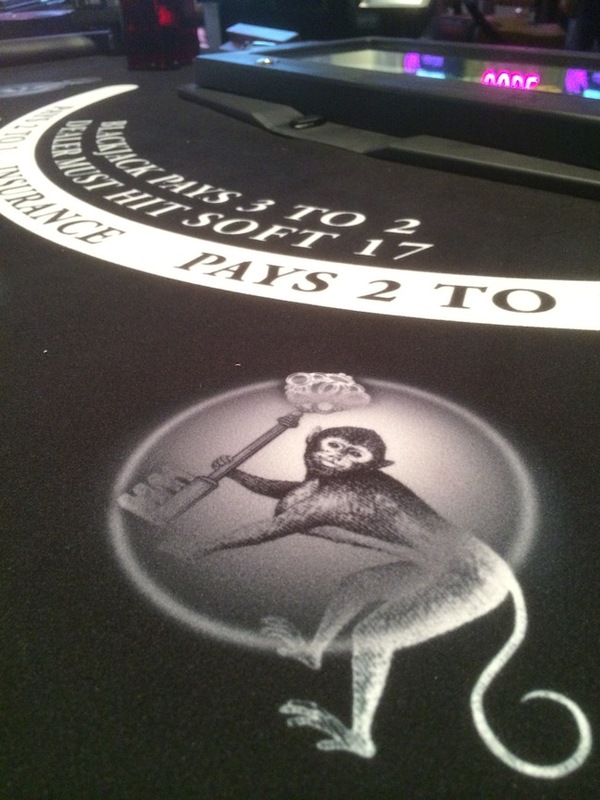 SLS Las Vegas has monkeys everywhere. I love monkeys. 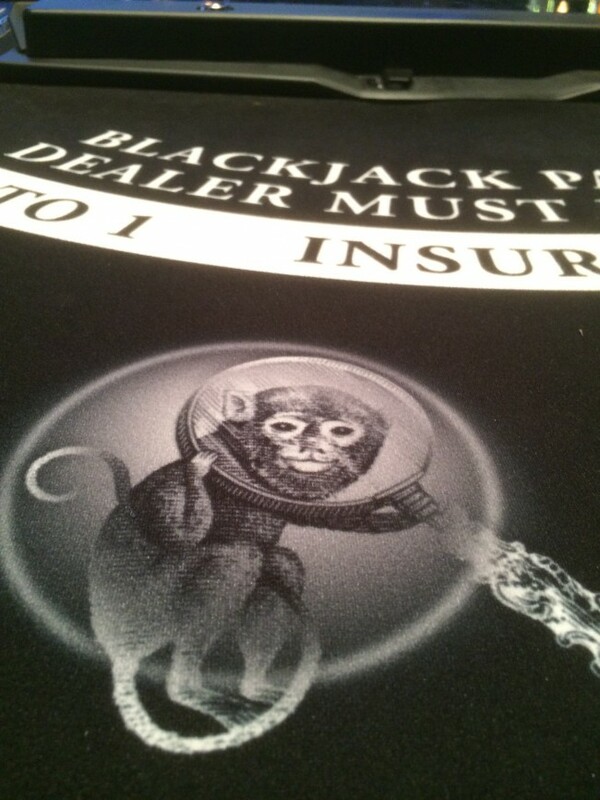 There are 5 different monkeys on each blackjack table and the dealers wear vests with monkeys on the back. There’s no way that someone who loves monkeys like me won’t go a little crazy after looking at them for a while. Bad (fun) things can happen with the combination of too many moneys and too much scotch. A friend emailed a conversation that I’ll very likely have…because there’s a monkey everywhere you look. This will happen in a couple of months. Here’s another Blackjack Monkey. I like SLS Las Vegas. I might like it a lot but it’s too early to tell. Like everything in life SLS Las Vegas has some flaws. During the week I’ll going a bit deeper into the things I like but I want to touch on some things that I’ve seen and heard that stand out on the less than awesome side. These are just meant as a heads up for visitors and not a take down of SLS. You can’t judge any business on 2 days of operation. 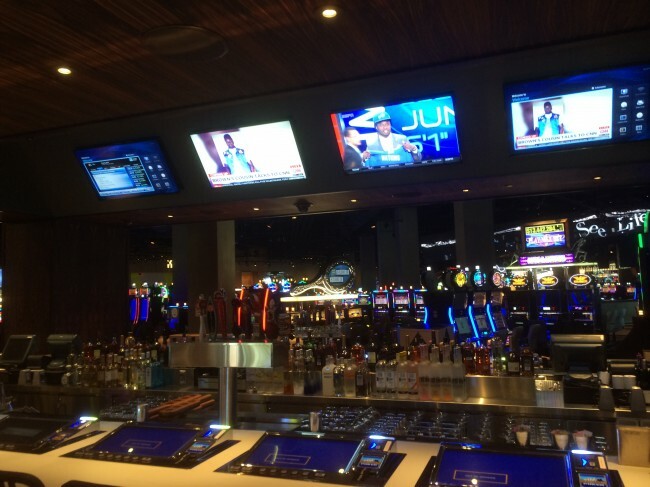 SLS Las Vegas has already started to address some complaints from the first two days of business (beer prices for one) and it will be interesting to see how else they handle early complaints. Dark – The casino is kind of dark. There’s little natural light and what light they have isn’t very bright. I didn’t spend much time in the casino so I’m not sure if this is a sleep inducing kind of dark or if it creates some intimacy. If you like natural light hang out near the Vegas Strip side. 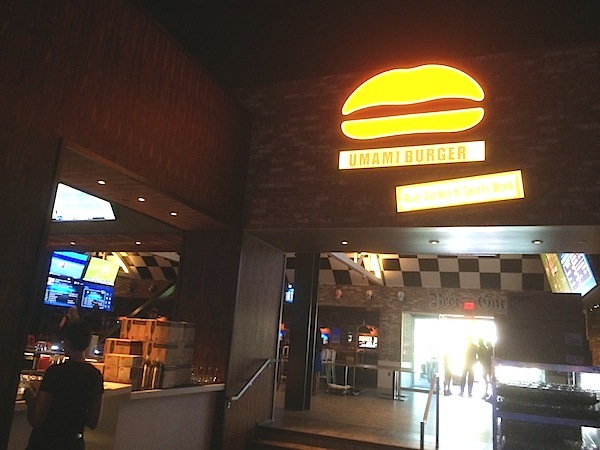 There’s a blackjack pit near the Vegas Strip entrance and Umami Burger has light from the beer garden. Tight – Even though there are less 200 less slot machines than the Sahara had the slot floor can be tight. If two people are playing back to back in some areas it may be impossible to pass. When The Griddle or The Code booth are busy the pit of blackjack tables becomes uncomfortable. I’m not sure this can be fixed so these are just spots that I’ll avoid. Hidden Buffet – The buffet is on the second floor and there’s limited signage that I can remember pointing people there. The setup is nice if you like a buffet but you may have to remember that you want it. I think it’s great to have the buffet on the second floor as it will keep kids/families out-of-the-way from the rest of the property for a while. Drink Prices – Drink prices across the board are kind of insane. Most draft beers (a good selection) at Umami burger are around $10 or more. Cocktails at other restaurants are $14-$15. A bottle of soda (no fountain drinks) at Umami Burger is $5(!). Large Iced Coffee at The Perq is more than $5. These are more in line with Vegas Strip luxury hotel prices than a middle tier hotel. Umami did drop a bottle of Stella Artois from $8 to $5 last night so it looks as though SLS Las Vegas will offer some options to the prices. Trying Too Hard – I like a lot of the design touches on the main floor of SLS but some have mentioned that it comes across as trying too hard to be cool. It’s almost as if there’s too much design effort which comes off as obnoxious. To each their own. Small Rooms – You should know the basic rooms are some of the smallest on the Vegas Strip. If you’re not aware of the size it will bother you. They try to mask the small size and bad views with design but the bones are the bones. In The Hood – You’re kind of in the hood when you’re outside of SLS. There are plenty of security guards on and around the property to remind you of that. Slow Elevators – The building is old and the elevators haven’t been replaced and have been getting wonky already. This was a problem for some people in the garage over the weekend. On my Friday tour the World Tower elevators didn’t want to close. In their defense we had to be over capacity with too many people. 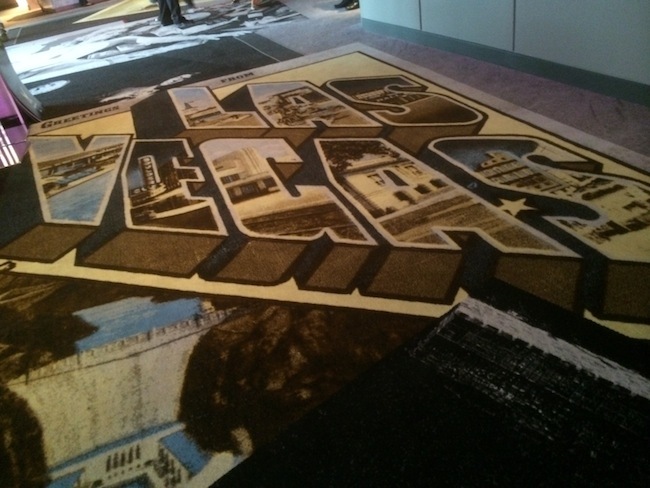 Here are links to pictures I took over the weekend if you’d like to get an idea of what SLS Las Vegas looks like.